We’ve made it to Christmas 🙂 This lumiappaday is not what was scheduled since I seem to have accidentally deleted the video, but I think this one is quite apt based on what many might be doing today. Binge eating, the time of plenty and over indulgence. 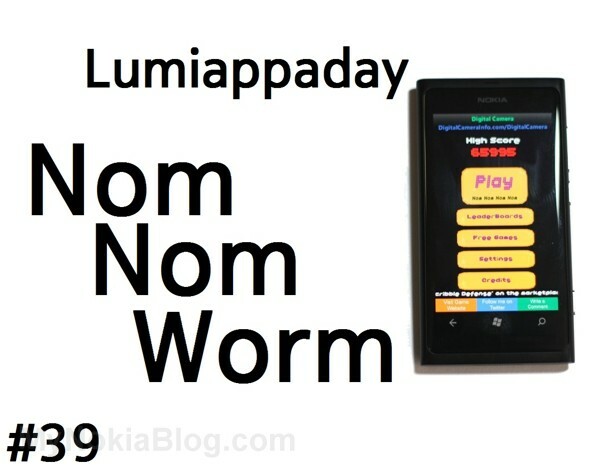 Nom Nom Worm is harks back to the classic Nokia like game of moving around the screen to grab food. This one is accelerometer based. 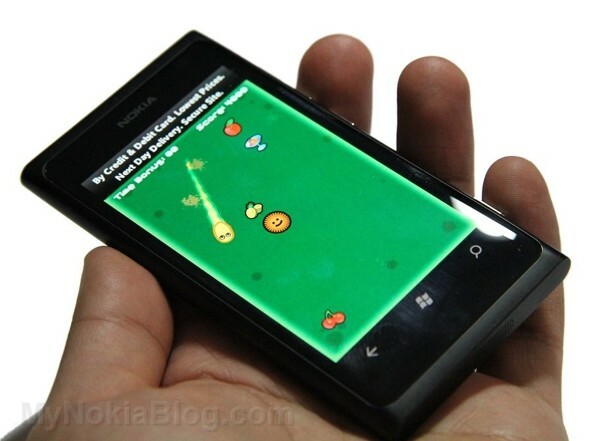 I was really surprised how smooth and responsive the accelerometer is here (and other accelerometer games on WP) as I’ve not had that experience before on my other Nokias. It’s so accurate, you can happily dodge around with ease, possibly even better than if there were touch or even button controls. It is incredibly easy to pick up and use and ridiculously addictive. I think the video demo could have been a lot shorter it’s just I kept wanting to play on. I only died because I kinda had to really :p.
The Nom Nom Worm is hungry! Hurry and feed the poor Nom Nom Worm. However the Puffers loom around the feeding ground, wanting to be friends with Nom Nom Worm. However they have very pointy ends that can spell the end for Nom Nom Worm if they touch him. 1.5 Update: Updated to Mango! – Perfect time waster for your busy life!